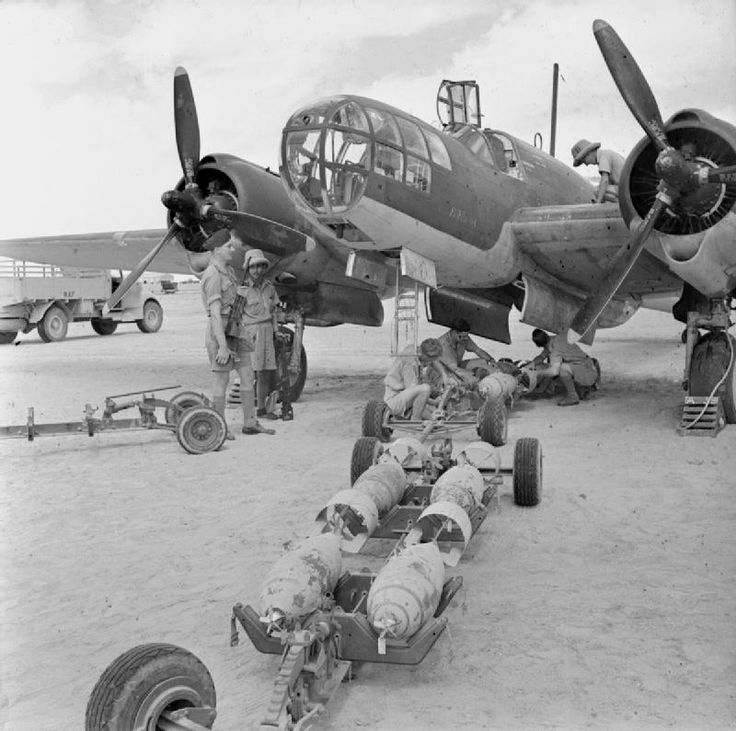 Operation Pike was the code-name for a strategic bombing plan, overseen by Air Commodore John Slessor, against the Soviet Union by the Anglo-French alliance. British military planning against the Soviet Union occurred during the first two years of the Second World War, when, despite Soviet neutrality, the British and French came to the conclusion that the Nazi-Soviet pact made Moscow the ally of Hitler. After the conclusion of the Molotov-Ribbentrop Pact, Britain and France became deeply concerned that Stalin kept supplying more oil to Hitler's Germany. Planning began shortly after the Soviet invasion of Poland in September 1939 and gained momentum after Joseph Stalin launched the Winter War against Finland in November 1939. The plan included the seizure of northern Norway and Sweden and an advance into Finland, to confront Soviet troops and naval forces in the Baltic Sea. The plan was seen as costly and ineffective in dealing with the German threat and was thus scaled back to the seizure of Norway and the Swedish iron ore mines. British and French politicians were for the continuation of the conflict between Finland and the Soviet Union, to legitimize their attack on Soviet soil. Planners identified the dependence by Nazi Germany on oil imports from the Soviet Union as a vulnerability that could be exploited. Despite initial opposition by some politicians, the French Government ordered General Maurice Gamelin to commence a "plan of possible intervention with the view of destroying Russian oil exploitation", while U.S. 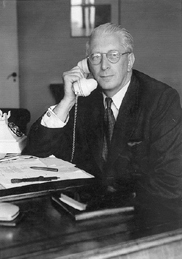 Ambassador Bullit informed U.S. President Franklin D. Roosevelt that the French considered that air attacks by the French Air Forces in Syria against Baku would be "the most efficient way to weaken the Soviet Union." Dependence on oil supplies from the Caucasus is the fundamental weakness of Russian economy. The Armed Forces were totally dependent on this source also for their motorized agriculture. More than 90 percent of oil extraction and 80 percent of refinement was located in the Caucasus (primarily Baku). Therefore, interruption of oil supplies on any large scale would have far-reaching consequences and could even result in the collapse of all the military, industrial and agricultural systems of Russia. An important source of raw materials would also be denied to Nazi Germany with the destruction of the oil fields. ---- Serious preparation by the British began after the end of the Winter War with Finland in March 1940. By April, plans to attack oil production centres in the Caucasian towns of Baku, Batum and Grozny were complete. Bombers were to be flown from bases in Iran, Turkey and Syria in "Western Air Plan 106", code named "Operation Pike". The French side proposed accelerating the planning, whereas the British side was more cautious, fearing a possible German-Soviet alliance, should the allies attack the USSR. The Soviet leadership anticipated Allied attacks and from 25–29 March, the leading staff of the Transcaucasian Military District conducted the following map exercise. According to scenario, the “black” forces, continuing their actions against the “brown” forces at the Western front, attacked in cooperation with “blue” and “green” forces; they were repelled by the “reds” in the Caucasus, who then started a counter-offensive towards Erzurum and Tebriz. Some scholars do not take the British plans of attack seriously and regard them as mere contingency plans. On the other hand, the Soviet-Russian historian Vilnis Sipols notes that the British and French military staff had developed strategic plans for assaulting the Soviet Union from the South but the two governments lacked a political decision to invade. 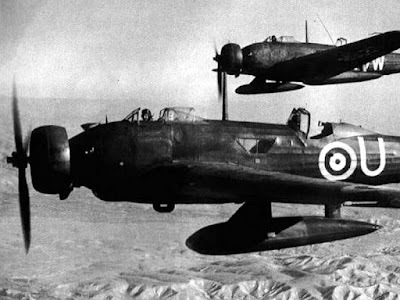 In March 1940, after the end of the Winter War, the British undertook secret reconnaissance flights to photograph areas inside the Soviet Union, utilising high-altitude, high-speed stereoscopic photography pioneered by Sidney Cotton. 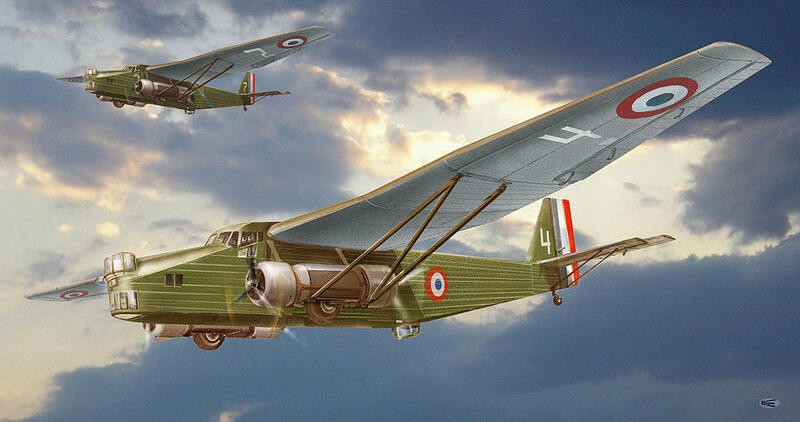 Using specially modified and unmarked Lockheed Model 14 Super Electra aircraft painted in a special blue camouflage scheme developed by Cotton (who led the RAF Photographic Development Unit (PDU), the Secret Intelligence Service launched the high-altitude reconnaissance flights from RAF Habbaniya, a Royal Air Force station in Iraq. One such mission was flown on 30 March 1940. Flying over the mountainous region of south-eastern Kurdistan, in Iranian airspace, across the coast of the Caspian Sea then north towards Baku, the flight entered Soviet airspace at 11:45 after a four-hour flight. Loitering for an hour whilst making six photographic runs with its 36 cm aerial camera, the aircraft left Baku at 12:45 and returned to RAF Habbaniya. Another reconnaissance sortie was flown on 5 April from RAF Habbaniya, this time crossing Turkish airspace to reach Batumi. 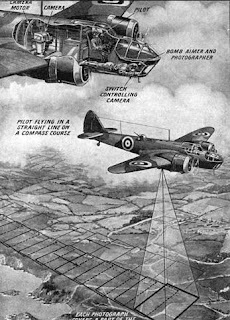 This flight encountered Soviet anti-aircraft fire and a Soviet fighter attempted an interception; the British had obtained everything they needed for photo-interpretation purposes and for mapping the Soviet petroleum centres. 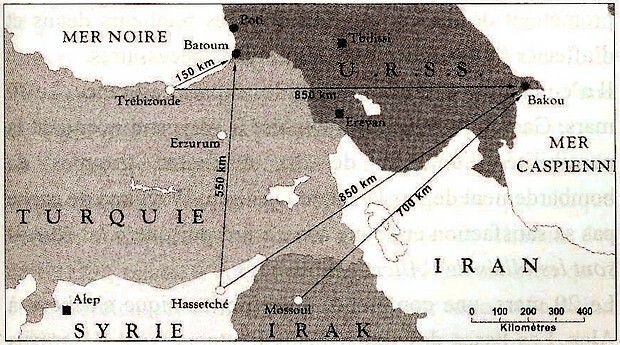 Analysis of the photography by the PDU revealed that the oil infrastructure in Baku and Batum were particularly vulnerable to air attack, as both could be approached from the sea, so the more difficult target of Grozny would be bombed first to exploit the element of surprise. 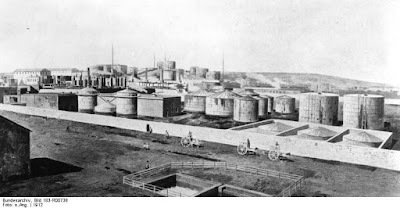 Oil fields were to be attacked with incendiary bombs, while tests conducted at the Royal Arsenal at Woolwich revealed that light oil storage tanks at the oil processing plants could be detonated with high explosives. 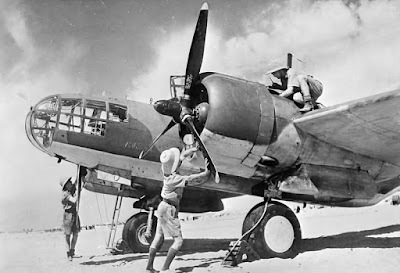 As of 1 April, four squadrons comprising 48 Bristol Blenheim Mk IV bombers were transferred to the Middle East Command, supplemented with a number of single-engined Wellesley bombers for night missions. A French force of 65 Martin Maryland bombers and a supplementary force of 24 Farman F.222 heavy bombers were allocated for night operations during the campaign. The French were preparing new air fields in Syria which were expected to be ready by 15 May. The campaign was expected to last three months and over 1,000 short tons (910 t) of ordnance was allocated to the operation: 404 x 230 kg semi-armour-piercing bombs, 554 x 230 kg and 5,188 x 110 kg general-purpose bombs, and 69,192 x 1.8 kg incendiary bombs. Germany must be credited with saving these other states [including the Soviet Union] from being drawn into this chaos by Allied schemings .... because she took timely counter-measures and also crushed France quickly. 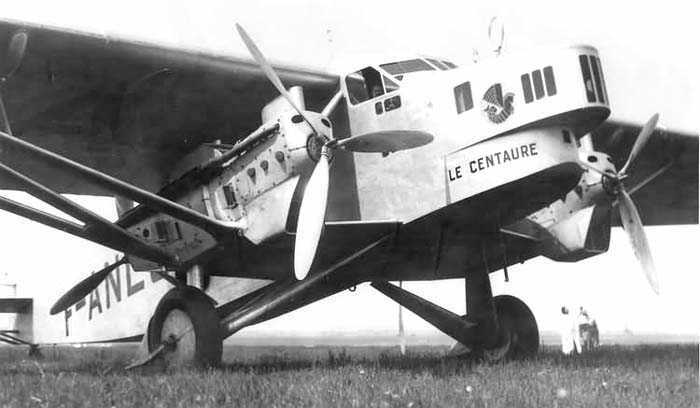 Compromising the conspiracy and the strategic Anglo-French bombing campaign against Soviet targets was postponed and eventually abandoned. After the attack on the Soviet Union by Nazi Germany in Operation Barbarossa in June 1941, Operation Pike was revived as a contingency plan to be invoked in the event that German forces occupied the Caucasian oil fields. Although the British and French pursued the operation to weaken Nazi Germany and Soviet Russia, the actual outcome would likely have been more detrimental for the planners if successful. 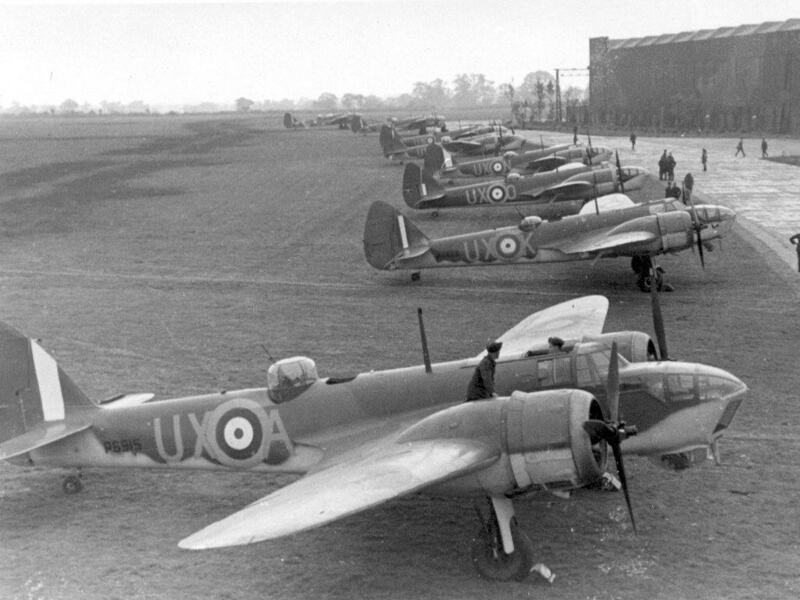 If the attack had been launched prior to the invasion of France, Britain would have faced the prospect of fighting a Nazi-Soviet alliance alone after France's fall (which also would have put off the almost inevitable Nazi-Soviet conflict). If it was resurrected in 1942 to deny oil fields in the Caucasus to the advancing Germans if the Soviets could not sabotage them, success in destroying them would have harmed Russia more and could have caused the government to collapse, leaving a major anti-Nazi bulwark incapable of contributing to the fighting. In any event, Allied bombers would probably have been ineffective in destroying the fields, as in 1940 British night bombing raids against Germany were so inaccurate that few bombs managed to be dropped within miles of their targets, a disadvantage that remained for the whole war. 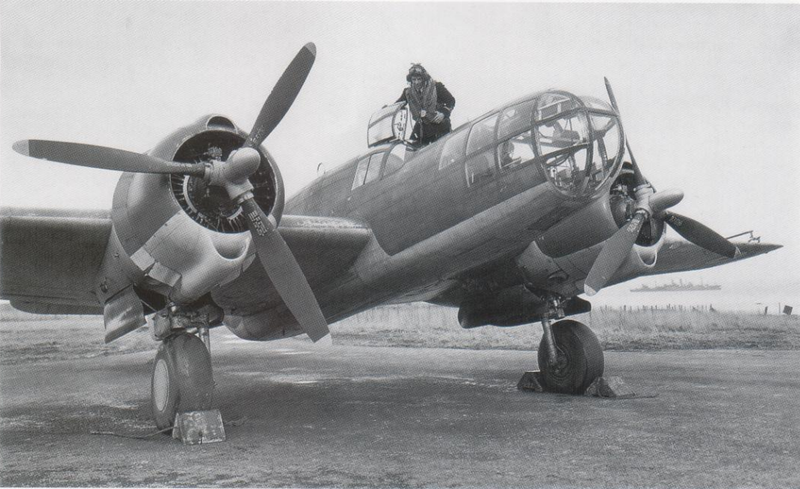 With around 100 bombers each capable of carrying only half a ton of bombs, low payload and poor accuracy made it is extremely unlikely that they would have any great effect on Soviet oil facilities anyway. 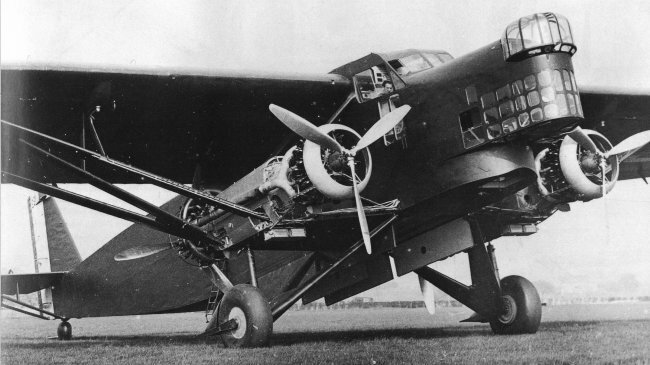 Furthermore, the overall objective of denying Germany fuel supplies was flawed, as even Allied intelligence concluded that Russian oil only comprised a small part of Germany's fuel, the bulk of which actually came from Romania. 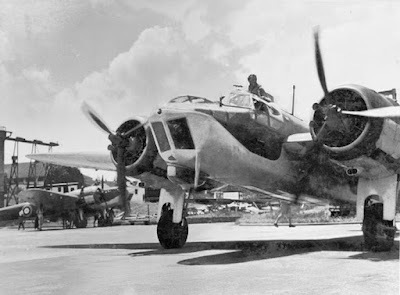 Operation Pike was driven more by desire for action while avoiding direct confrontation on the battlefield during the Sitzkrieg, overconfidence from strategic bombing enthusiasts, and pursuing an idea of hurting both countries at once than actual military value.